Two cars collided in West Hempstead early Thursday. WEST HEMPSTEAD, Long Island (WABC) -- Two cars collided in West Hempstead, crashing through a hydrant and sending water into the air. 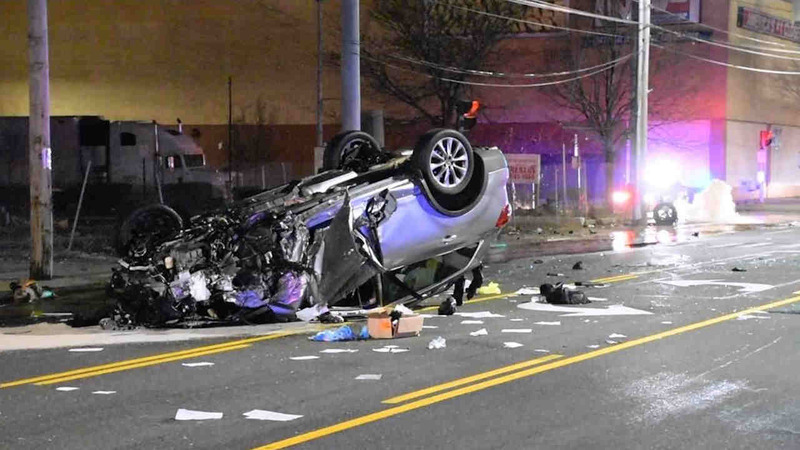 The cars crashed at Hempstead Turnpike and Westminster Road early Thursday morning. One of the vehicles overturned in the crash. Both drivers were taken to the hospital with non-life threatening injuries. One of the drivers is in custody for suspicion of drunk driving. The collision knocked out a fire hydrant and water sprayed into the air.